Chris Paul and the Los Angeles Clippers have already clinched a playoff spot, making Paul’s name a household name once again this post-season. But aside from their upcoming playoff stint, Paul will also get attention with the new edition of his fifth signature shoe with Jordan Brand, the Jordan CP3.V. 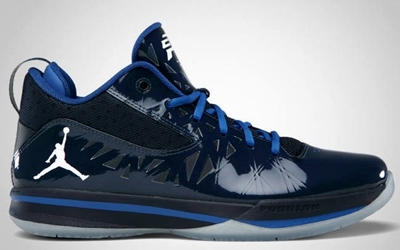 The Jordan CP3.V will be coming out in Obsidian/White -Varsity Royal colorway, which features the latest Flywire Technology along with a superb application of the patent leather on the upper part of the shoe. Expect this one to get a lot of attention so make sure you’ll get your own immediately once it hits the market!